The Institute for Faith and Public Health Leadership equips faith and public health leaders to work together more effectively to improve the health of their communities. By the end of the Institute, participants will have a plan for implementing a faith and public health partnership that mobilizes the unique assets of both disciplines to address the social conditions that impact health and promote health equity. Identify key strategies for mobilizing around the root causes that create and sustain health disparities. Inequities in health status are rooted in complex and difficult social problems such as poverty, racism, unemployment, poor educational opportunities, etc. For the most part, health promotion efforts stay at the surface of these issues. Often the activity in faith and public health partnerships focuses on health education, screening and health behavior change. Usually we focus on the health of congregational members, versus the community as a whole. All of us are often driven by the interests and mandates of funders, are too busy to make important connections and tend to work alone or in silos. To change the social conditions that impact the health of our communities, we need to work at a deeper level. This series brings together faith and public health leaders and provides tools and resources from both faith and public health perspectives to help leaders further develop or start a new collaborative approach to address the root causes of that health issue. Participants work in mixed faith and health teams of four to six people to explore topics that are foundational to developing more coordinated faith and public heath partnerships—Root Causes, Interfaith Engagement, Assets, Assessment, Collaboration and Advocacy. Teams work together during the class and outside the class to develop a faith and public health partnership strategy around their topic of mutual interest, such as HIV/AIDS, Emergency Preparedness, Chronic Disease, etc. All sessions draw on content experts from both faith and public health sectors. Sessions are interactive and utilize spiritual practice as one of the structures for reflection and dialogue. Sessions include time for teams to work together to develop relationships and their partnership strategy. 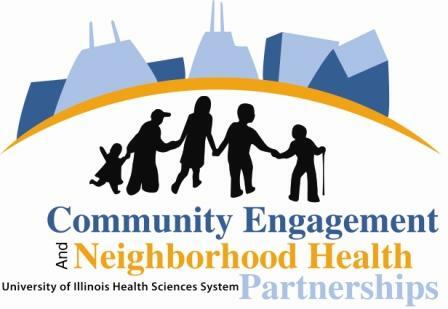 This Institute targets leaders in both faith and public/community health settings who are committed to working collaboratively to address the social conditions that impact community health. Leaders include the spectrum of people who are working on faith and health. They may be formal leaders, such as clergy, health officers, or executive directors. They may be leaders on the ground—a lay leader of a health ministry, a community health worker, a clinic nurse, a project manager. We welcome those who lead in the community as well as in organizations. Preferred participants will already be working on health issues and will have some experience in working in partnership. We particularly invite teams of faith and health leaders who are already working together on specific health issues to attend together. Participants do not need to be people of faith, but they need to be comfortable being part of conversations and activities that explicitly draw on religious or spiritual language and practice. The Institute is interfaith and highly values the wisdom and perspective of all religious traditions. View archived presentations from previous Institutes for Faith and Public Health Leadership in the Training & Events Archive page. For more information, contact Rani Saxena at rmishra@uic.edu.